Perhaps not the most economical fish of the year. After not finding the Bass this weekend all I had to show for £35 of diesel was 5 Sand Smelt. Although another lure caught species for the 2013 tally. Hi there, I’m a lure fanatic and species hunter myself. Just wondering how you ID the sand smelt vs. the big scale sand smelt vs. the smelt vs. the greater argentine vs. the common argentine. All of which are caught in our waters, and all of which look pretty much exactly the same! Haha. You’ve got me there! A while ago someone convinced me I should stop calling familiar smelt ‘Smelt’ and start calling them ‘Sand Smelt’. 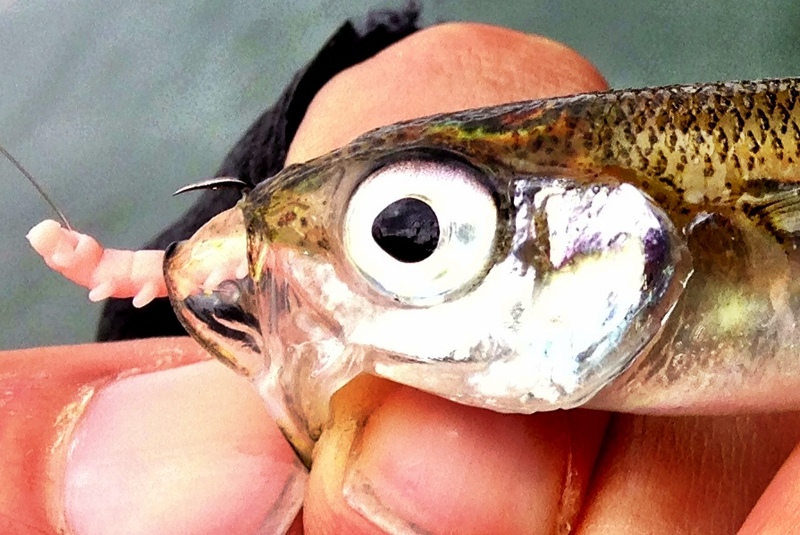 My fish ID app says that the Sand Smelt has the biggest eye and that standard ‘Smelt’ have strong teeth. Absolutely no idea on the sub species. Sorry!